At the start of the twentieth-century, the once-rural freedman's village of Oberlin had grown into a tight-knit community of middle-class African American families. Oberlin had well-established churches, small retail shops, and the highest rate of home-ownership of all Raleigh neighborhoods. The James S. Morgan House is a rare intact example of a traditional early-twentieth century vernacular dwelling (Triple-A I-house form). The rarity of the James Morgan House is due to its location and its ownership. While common, the I-house form was largely associated with substantial rural farms and constructed by the land owners as evidence of their financial success. 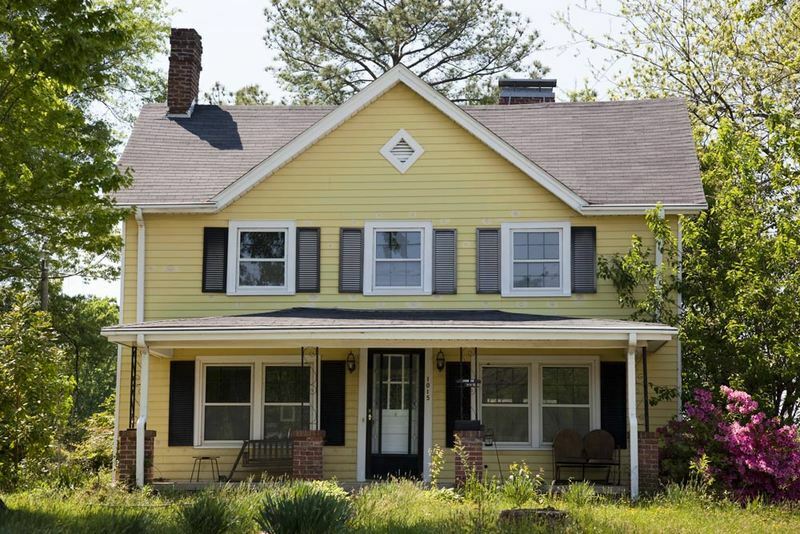 I-houses are extremely rare in Raleigh's African American neighborhoods. The fact that Wilson Morgan, James’ father, was African American and built this house in the in-town African American Oberlin community comprised of more modest dwellings, is what makes the structure stand out. Wilson W. Morgan, one of Oberlin's earliest settlers and a member of the North Carolina General Assembly from 1870 through 1892, built the house for his son James around 1900. Private residence. James Morgan House, 2009: Image by Michael Zirkle Photography, copyright Raleigh Historic Development Commission. RHDC, “James S. Morgan House,” Raleigh Historic, accessed April 20, 2019, https://raleighhistoric.org/items/show/132.